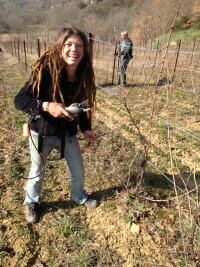 Jean-Luc and I went up to see some friends working in the vinyards last week. 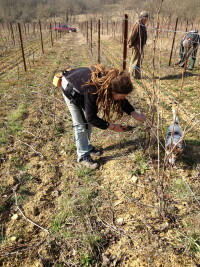 It was the end of February and winter nearly coming to an end but there was still plenty of work to do. 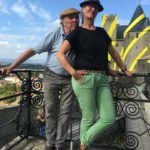 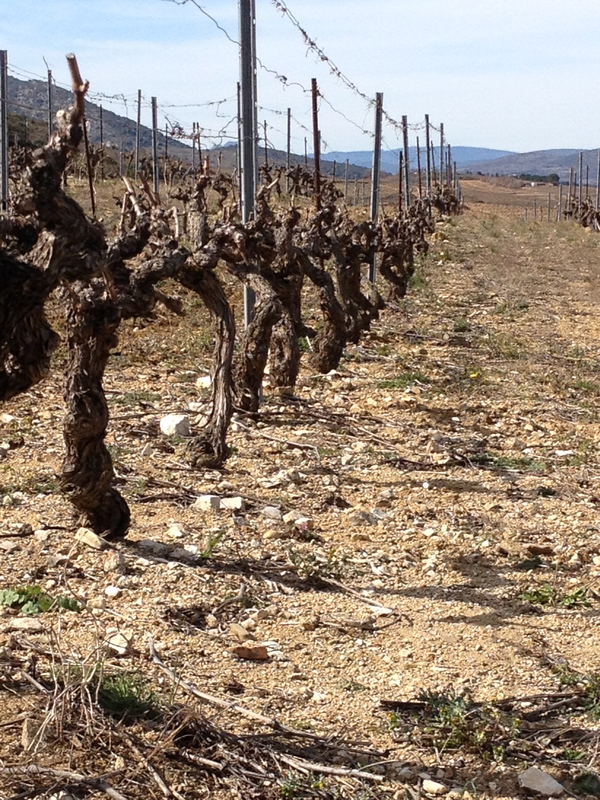 Phillipe is a ‘viticulteur’ – he grows his grapes and sends them to the cave of ‘Anne de Joyeuse‘ in nearby Limoux. 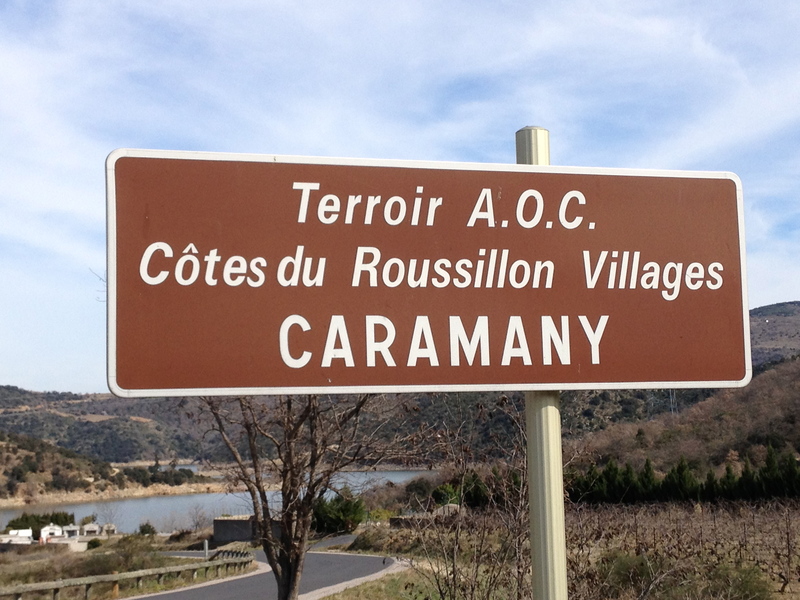 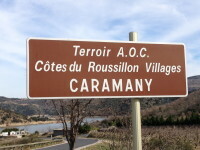 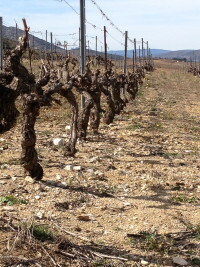 His vinyards are in an around the village of Roquetaillade, about 10km south of Limoux. He has Merlot, Pinot Noir and Chardonnay vines. 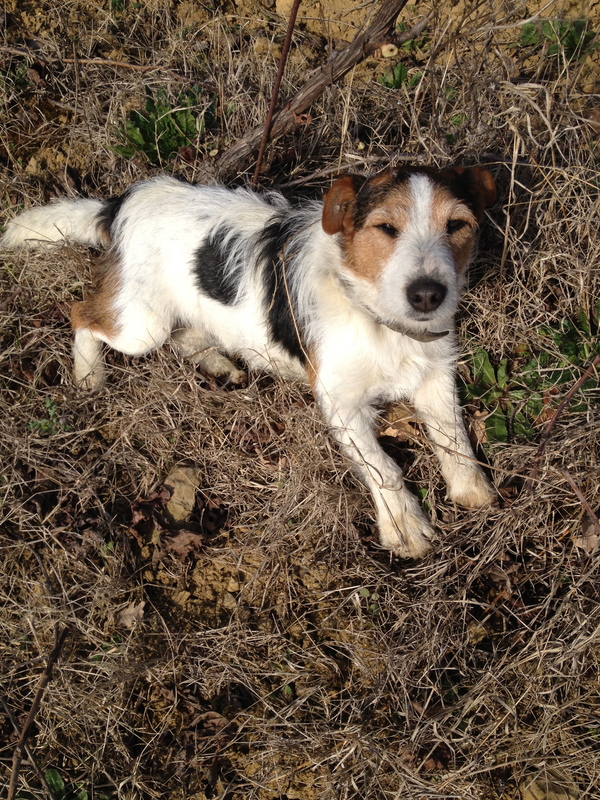 Jane works for him part-time but all year round (full time during the harvest) She takes her dog with her and a thermos of hot tea! 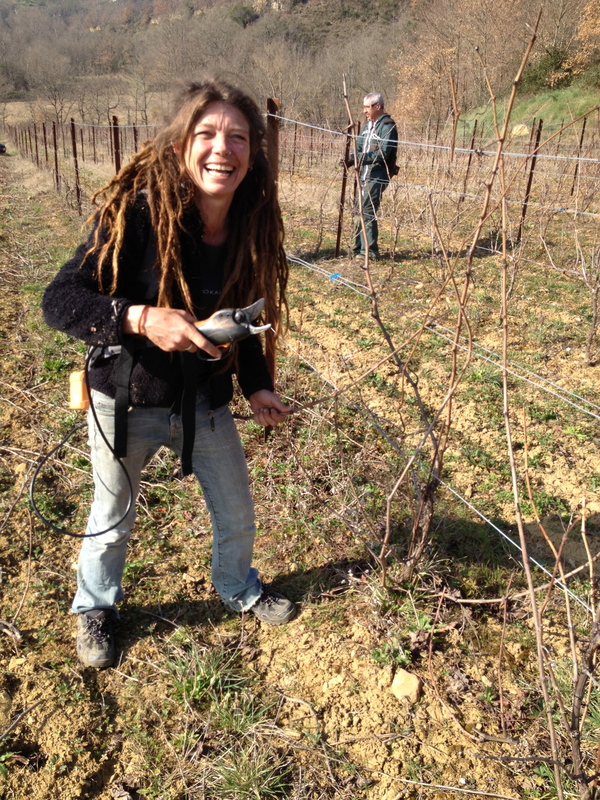 When she saw the photos she said she was surprised that she hadn’t snipped off some of her hair by mistake! 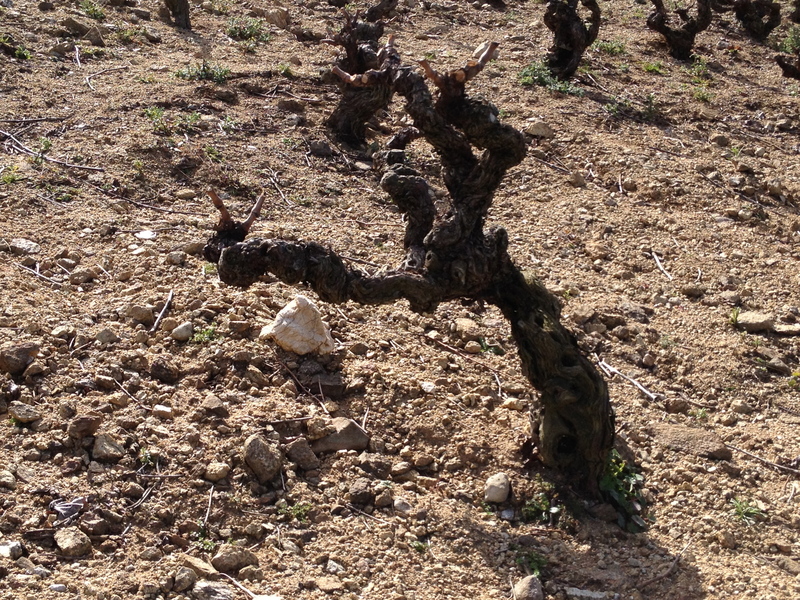 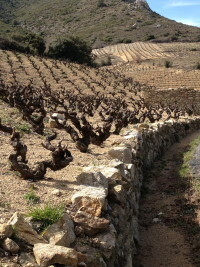 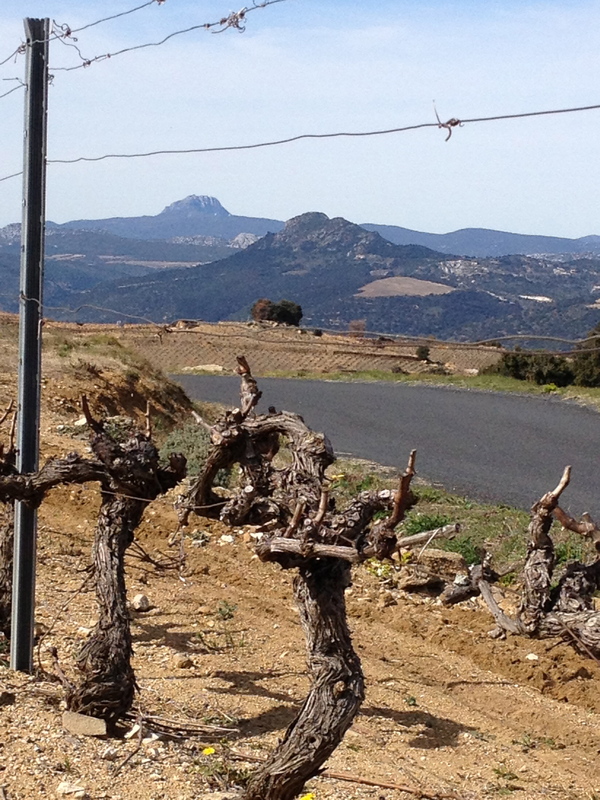 Also some photos of vinyards in the Cotes du Roussillon Villages area, near Perpignan, shows some pruned and unpruned vineyards, all waiting to burst forth very soon with new growth. 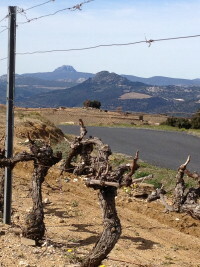 Clear blue skies, views over the valley as far as Bugarach – I’m sure one of the reasons the wine here is so fantastic!! 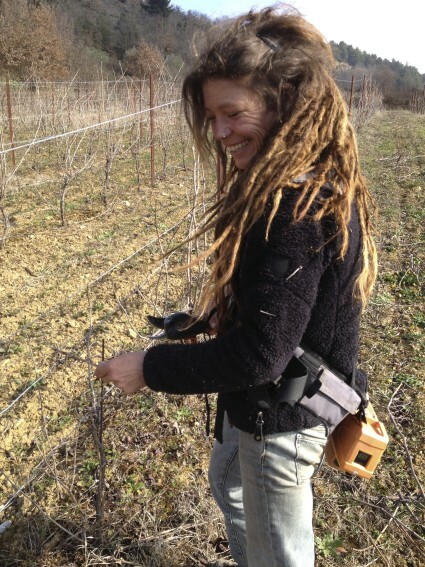 Winter is pruning time in the vineyards. 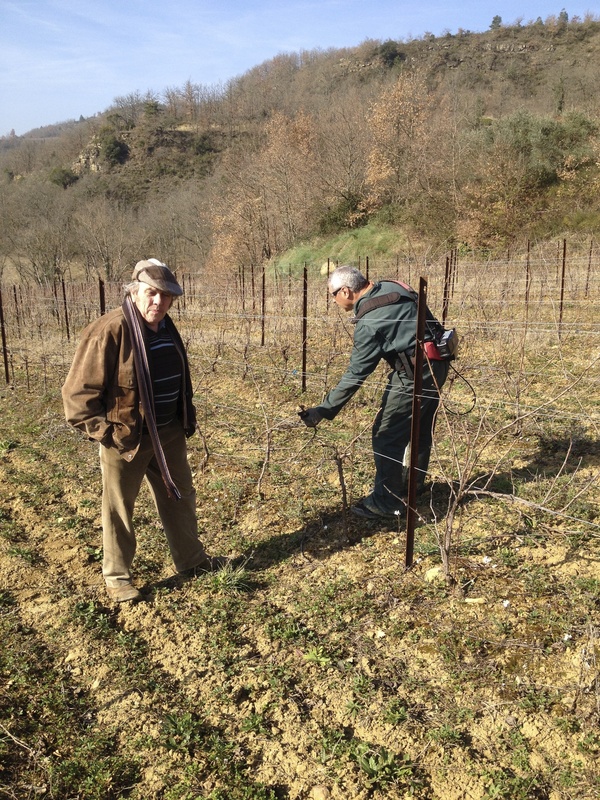 No question of staying in next to the fireplace this winter, as this work, when the vines are resting is very important. 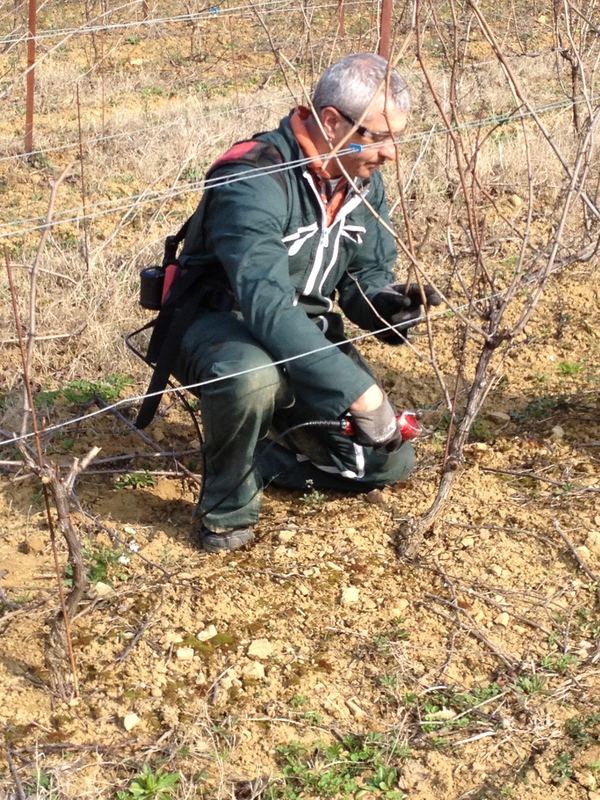 It’s part of the long, difficult work for the ‘vigneron’ as it’s often done in humid and cold conditions. 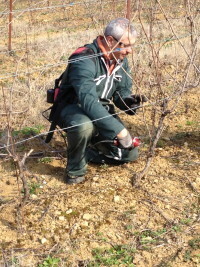 Pruning the vines is the way to prepare for the next harvest and here the technique is called ‘guyot’ pruning, where you can see Jane and Philippe leaving on the vine one branch with 10 buds – called a ‘long bois’ and one small branch with 2 buds called the ‘courson de rappel’ . 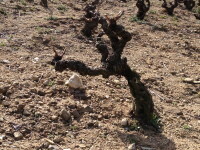 The rest of the branches are snipped off and left on the ground, where Philippe later on grinds them up and leaves them as mulch. 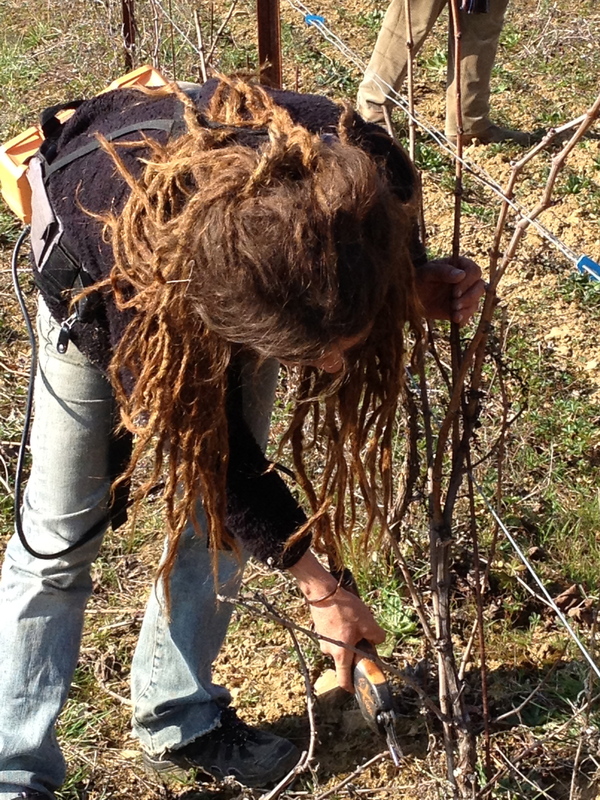 This pruning is really important as it will determine the number of bunches on each vine and thus the size of their harvest. 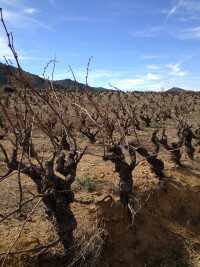 Not enough grapes and the harvest is too small and will mean a loss for these mid range wines, which is what the majority of their market is made up of – often sold in the shops between 3.50€ and 6.50€. 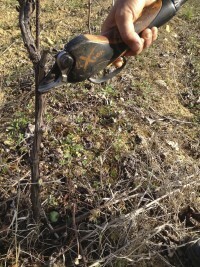 Too many grapes and the quality is risked – thus also affecting the end product. 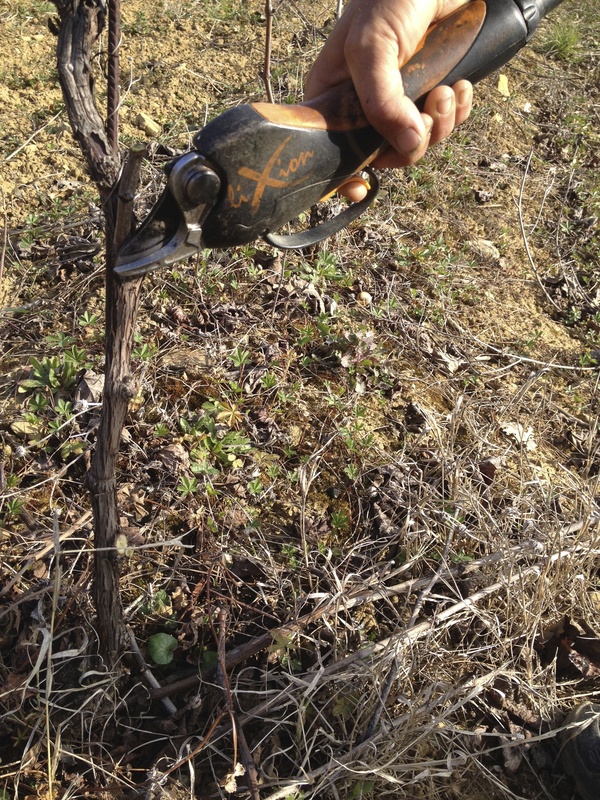 Difficult but essential work for sure but all part and parcel of life in the vineyards.